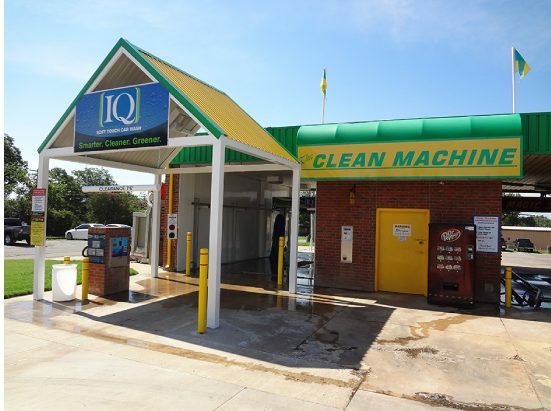 Located at 1435 West University Boulevard, on the corner of University and Washington, The Clean Machine in Durant, OK offers the same quick, powerful, and reliable car wash cleaning power as our other locations. The Clean Machine also features standard self-wash bays, and vacuum stalls for your convenience. Our IQ Automatic Express Car Wash offers some of the most intelligent car wash technology available. It measures your car, then calculates the amount of pressure it needs to get your ride as clean as possible. Come see what smart car washing can do for your vehicle!